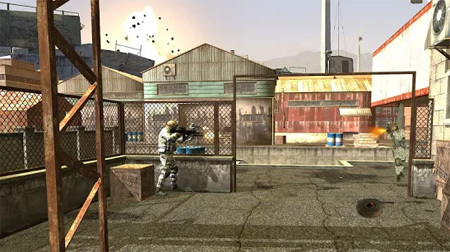 Mission Counter Attack is the fast paced first person shooter from Timuz Games, where you play as a dangerous agent on a task to complete all the missions. In this game you will have to take down multiple targets with, assassinate all the targets from the top of a helicopter and much more. These tasks just keep getting harder and harder and the enemies are increasing in every level. Use high tech long range weapons to sniff out the enemy and hit them. Upgrade to higher guns to create huge damage with a single bullet. Use the mini map to watch out for the enemy that approaching towards you and stay alert to survive till the end. Get ready for the ultimate rain of bullets while using the medi kit to refill the health regularly. Reload, stack up the bullets and fire to eliminate the last of the enemies. Follow the sniper’s bullet as it travels towards your kill. Use sniper mirrors to zoom in and out and aim at and kill enemies. If you get stuck in the game, check out the video walkthrough and gameplay for the game. This entry was posted in Android Games, iOS Games, Mobile Games, Walkthrough and tagged Mission Counter Attack Cheats, Mission Counter Attack Game, Mission Counter Attack Gameplay, Mission Counter Attack Guide, Mission Counter Attack Hints, Mission Counter Attack Review, Mission Counter Attack Solutions, Mission Counter Attack Strategy, Mission Counter Attack Tips, Mission Counter Attack Walkthrough by Marvin. Bookmark the permalink.